My reaction when I saw that tweet was one of confusion mixed with incredulity. I could NOT believe what I was reading. 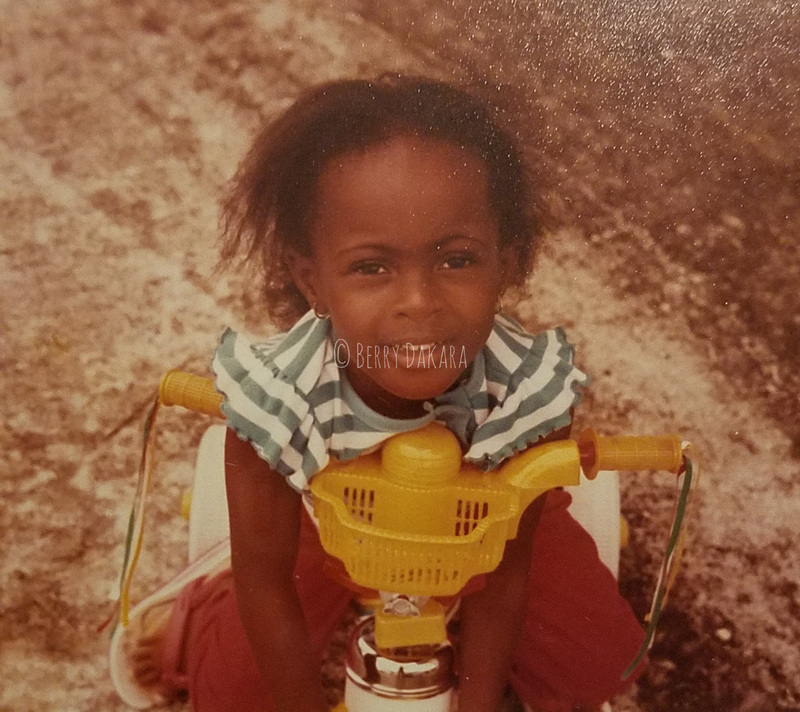 Not only had she missed out on jump rope, or skipping as we call it in Naija, but she hadn't learned how to ride a bicycle either! 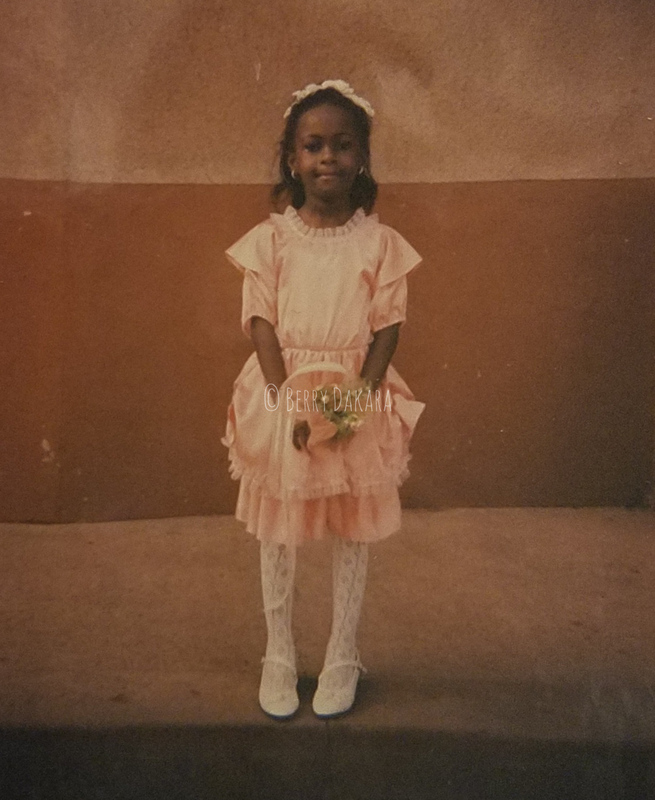 Who can help me build a time machine so I can teach @KacheeTee some childhood activities like jump rope, riding bikes and playing in rain!?! Because I'm such a caring person, I immediately reached out in my own way, as you can see above. 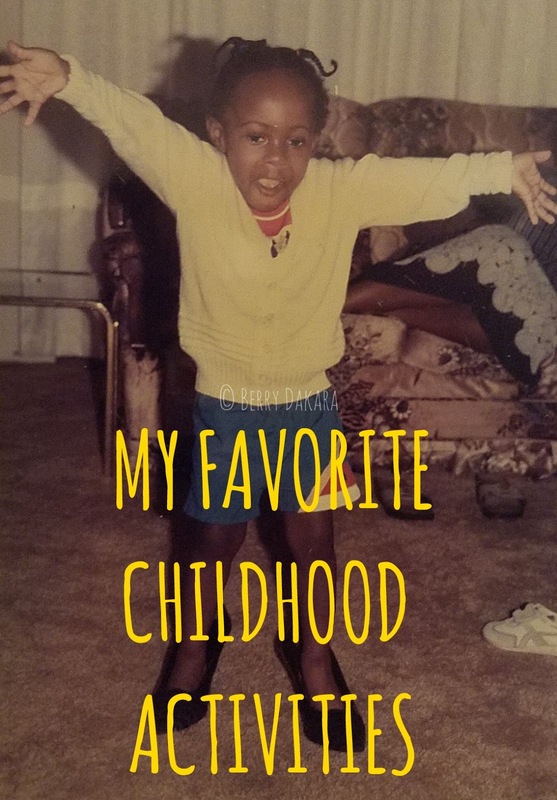 After a little back and forth, we decided to do a post collaboration where I would share my favorite childhood activities, and she would share what she wish she had learned. @KacheeTee We should do a blog post collab on our favorite childhood activities!!! Are you down? 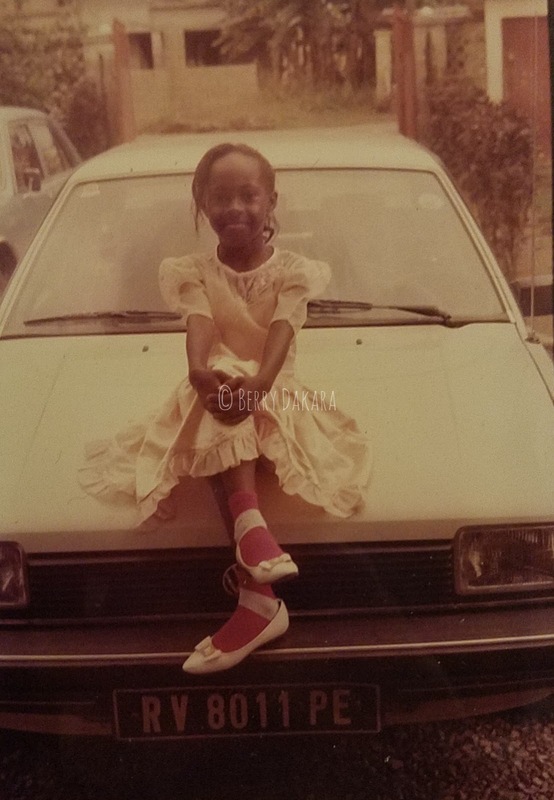 Like I said, we didn't have the most conventional Nigerian childhood - in fact, people always tell me I didn't actually live in Port Harcourt... I did, just in "The Estate." Biking/Skating - These are two of the activities that come first to mind. Where we lived - "The Estate" - was almost like living in an American subdivision. On Saturday mornings, while our parents jogged over to the tennis and squash courts, my sister and I would ride our bicycles or skate/roller blade along. I don't know at what age we learned to ride bicycles but it was pretty early, I imagine. I think we started skating after one our trips to England and pleading with our parents to buy us rollerskates. Of course, lots of bumps and scrapes happened but it was all in good fun aye? Hmm, it's been a while since I skated o. Ballet - In our nursery/primary school, a ballet teacher held classes for budding ballerinas. My mum signed us up, and we used to go for ballet classes once or twice a week. While this was fun, we didn't stay for more than a year. But I vividly remember the ballet recital that included all the students at different levels. Oh, and I also remember that day I had one of the most mortifying moments of my life. For this particular routine, we had grass skirts that were tied around our waists. Whoever did mine had made it way too tight and I was very uncomfortable. Before we got onstage, I made the very smart decision to loosen the skirt - and not too long afterwards, the skirt fell to my feet WHILE I WAS IN THE MIDDLE OF THE ROUTINE ON STAGE!!!! So yup, I'm standing there in my underwear, frozen, for the world to see. People talk about having those nightmares, right? It happened to me for real. Piano - Our nursery/primary school was kinda posh sha, I can't even lie. Nobody was allowed to speak Pidgin English - I learned in secondary school, even though I sound horrible when I try (as in, people beg me to stop). We also didn't play the typical Nigerian games like Ten-Ten/Oga - I learned in secondary school too. The headmistress, Mrs A, encouraged us to speak like Brits, no joke. Anyways, we also had Piano classes, taught by Uncle John... I wonder where he is now. Once or twice a week, different classes would walk down to the headmistress's house for Piano lesson. We learned how to read music and everything. The unfortunate thing though, was half the time, Uncle John was fast asleep when we were playing. So the kids that couldn't play well would have the prodigies play on their behalf when it was their turn, and afterwards we'd tell Uncle John we were done. WE ALL PASSED! My parents also had Uncle John over to teach us privately though, so we definitely had no choice but to learn. I wish I had continued with it - I can still read music barely, but my piano skills are severely lacking! There were a bunch of other things we did, from playing in our little princess house, baking and learning how to crochet with our grandmother, participating in dance/drama productions, even being on TV! My mum used to be a news anchor, and acted a teeny-tiny bit on Rivers State Television (RSTV), so we got to be in a couple of holiday specials! FOLLOW ME ON SOCIAL MEDIA @BERRYDAKARA and we can chat in real time! I laughed so hard reading this. Fun memories. Cutie cutie u berry. The last pix is my favorite. I grew up in an estate in Lagos. Wasn't as posh as ur's but we lived close to the 'Siemens quarter'. They had some German expatriates so it kinda robbed off on us cos we learnt to skate. I used to play football (Yea I was a tom boy) and ride bicycles but I can't anymore. The moment I became 'a lady', I lost those skills as I got scared of falling and having scratches. I miss hide and seek the most. Oh I still 'skip' as part of my fitness regime. Oh no, why did you think riding bicycles was unladylike?! I mean, a few scratches ain't never hurt nobawdy. Well, at least you can play hide and seek with your kids - I play with my nephew. And yeah, skipping will never go anywhere. Your childhood was so fun I'm jealous. Haha Kachi can't swim lol, well I can't swim too used to swim as a child but I don't know what happened, I just can't again. Truthfully don't know if I can ride a bike, I believe I can but I doubt it. Well I can skip rope so I guess that's a great thing. Oh noooooooooooo, not you too! Okay, everyone come to Atlanta so I can teach you how to swim and ride bicycles! "The Estate" was hella fun!!! You were the cutest baby ever, OMG. 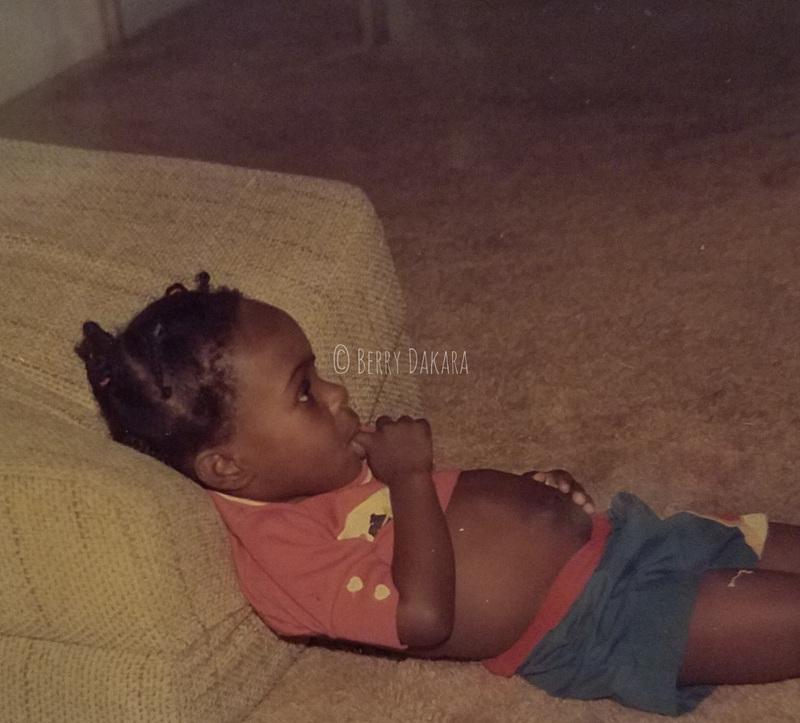 Life was sweet and peaceful back then mehn. But thank God for memories. Aww your childhood was filled with so much fun. Your list is so at the top lool. I can bike and recently started learning skating.I learned french but I stopped speaking somwhere along the line. I did a lot of video games growing up, I seemed to like that a lot. It's a good thing nigerian parents are changing these days, my lil sister used to take taekwondo lessons for self-defence until she started using us for practice and we had to limit it lol and my brother takes drumming lessons and is good at it. FRENCH! VIDEO GAMES!!! How did I forget to list them?!?!? Especially the different ones on Super NES, Atari, and co!!!!!! Choiiiiiiiiiiiii, taking me back!!!! BUAHAHAHAHAHAHAHA @ using you for practice! Drumming lessons are good - my brother plays the drums too. LOOOOOOOOOOOOOOOOOOOOL, you too?!?!? Maybe ballet recitals weren't the best idea. I was never into combative sports... do you remember any of it? LOL, I could chill for Africa right from time! Aww... Cute pictures all the way!!! You sure did have a "posh" growing up. For me, I learnt to skip from my dad and would skip at the slightest oppourtunity till date. One of our (neighbours and i) favourite games growing up was doctor-and-patient and i always got to play the doctor as my mum was a nurse and i brought along syringes, cotton wool, spirit e.t.c. I had also perfected the art of acting like i was really giving injections or drip without piercing anybody. The one day i was overruled and made a patient, the stand in doctor successfully left me with a little scar i have till date and this incident also ended our doctor-and-patient play role forever! BUAHAHAHAHAHAHAHAHAHAHAHAHAHAH!!!! You actually used the needles?!?!?!? OMG! You would have been grounded for life and eternity afterwards! These memories are too cute. I wish I learned how to swim as a child. My sister and I even had lessons. :-( I wasn't much of an outdoors person growing up. My dad would force me to go outside but I did learn how to ride a bike, roller skate, jump rope, and play tennis. Playing tennis is pretty fun for me. I still do it from time to time. Lol, how come the swimming lessons didn't stick? Tennis is something I wish I learned how to play properly. We have tennis courts where we live here and they're just going to waste in front of my eyes. All kinds of butter, baby! You were sooooo cute! I just want to give you a hug. And so posh!! Ah ah. You can literally do everything! Thanks for writing this and initiating the collaboration! My favourite childhood memories have to do with the school holidays because we always got involved in some activity or the other like knitting class, crotchet class, baking with my cousins, etc From the easter of js2 to the summer before i finished uni i interned at different organisations every holiday except when i had an exam immediately the holiday was over. 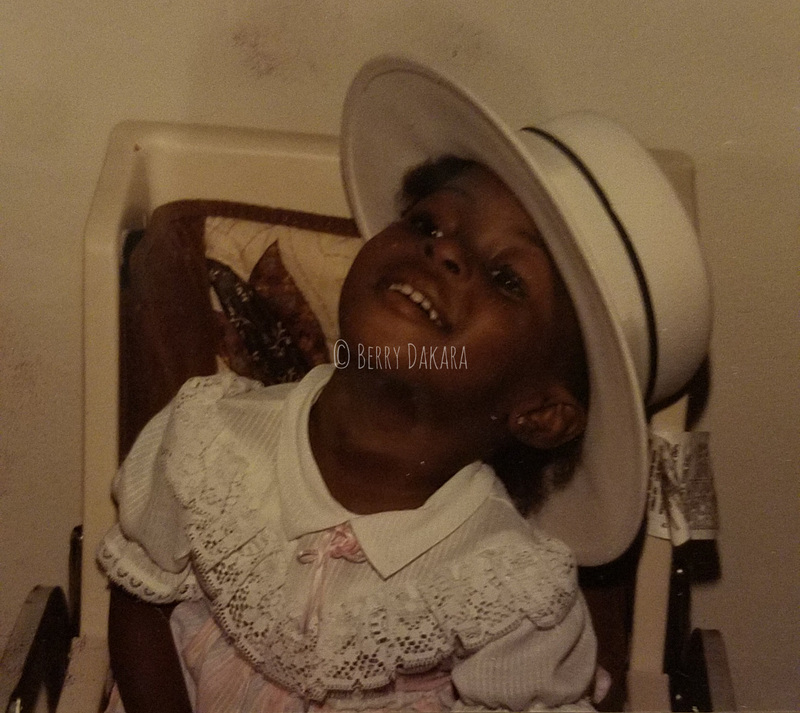 I really did enjoy my childhood, hanging out with cousins, taking part in drama's and dances for church, having no worries or concerns, it was FUN! I bad skates and heely's at some point too, sad that I haven't skated in a really long time. Awww, you started working from JS 2? I wanna work from JS 2 too! LOL I have to agree with Kachi that you were super posh, haha. Childhood was fun. Saturday mornings, my mom would set up the badminton net downstairs and we would play- me, my siblings and her. I can't remember the rules, but somehow, we did it. I wasn't consistent with my swimming lessons so I still don't know how to do it. One of my 2016/17 goals, sha. My childhood was fun. Playing with my siblings and cousins. I spent a lot of time reading, but also found time to play. Not great at skipping but I try. Suwe too. We pretty much created our own TV shows with our toys, acting drama, creating small cities, running campaigns like "Keep Toyland Clean", complete with a theme song. A room with a red carpet was called Red Land, and the room with a green carpet was Greenland, hahaha. Now that I think about it, children of today in Nigeria are missing out on a lot. I really should encourage my cousins to play more, instead of watching TV! Hehe - AJE BUTTER FOR LIFE! Yay to Badminton! We didn't know the rules either. You should totally learn how to swim! It's a necessary life skill in my humble opinion. BUAHAHAHAHAHA, I love your different "Lands" - too cute! I think children these days are glued to TVs or phones or tablets or computers, and they really should play more. GIRL, YOU WAN TRY ME?!?!?!?!? Awwww, I wish we had learned tennis properly. We have a lot of courts where we live now, plus rackets and they're just going to waste. I love both posts.Well done to you both and thanks for making me relieve childhood memories.I went to a posh school but I lived in a not so posh area.The poshness ended at my gate.We never went out much so we did not mix up with anybody in the area.In school though we had lots of classes,music,swimming,library dates.I wish I learned ballet.Bottom line every single thing I think I missed I will make sure my babies have a feel of so that they won't be like Kachee and be saying they did not jump rope.lol! Thanks Cheechee. I'm glad you liked the posts. And I think we try to live vicariously through our kids (or even younger siblings) - wanting them to learn things that we didn't get a chance to learn. Thank you! I also learned how to play the recorder and was in my secondary school's band! You had so much fun growing up, so many childhood memories. I still don't know how to swim even though I got a few lessons from my younger brothers. Luckily for me, riding a bike is one thing I learned how to do and I still enjoy. Playing a musical instrument didn't work out so well for me, I can play the flute but its not something I'm particularly proud of since I can only play one song. LOOOOOOOOOOOOOOOOL @ playing only one song. I hope you play it well and with gusto!